It's back again! 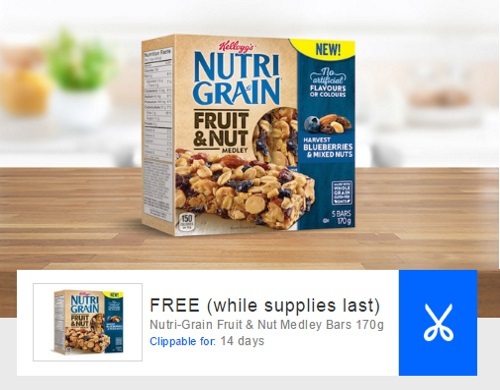 Get a Free Nutri-Grain Fruit and Nut Medley bar 170g with Coupgon! Value up to $3.99. Offer available for a limited time. While quantities last. There is also a Free Coca Cola Life offer that we blogged earlier here. Click here for list of participating retailers.